69 stations on the Toronto subway . . . with six more on the way. 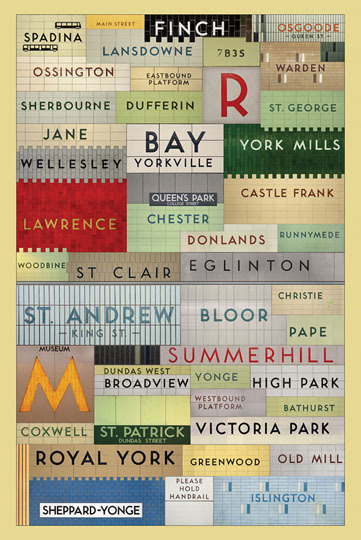 This entry was posted in Art & Design and tagged Canada, Jonathan Guy, Ontario, Toronto, Toronto subway poster. Bookmark the permalink. We’re close to Sherbourne Station!